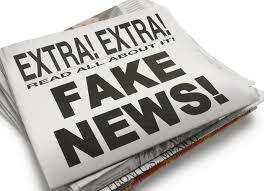 In an enlightening example of how the rush to publish “juicy” stories without doing the requisite research can lead media to propagate falsehoods, a New Jersey radio station, NJ 1015, broke a story recently that was, well, itself broke – bereft, that is, of fact. The news station, the flagship broadcasting arm of the Townsquare New Jersey News Network, apparently taking its “information” from a blog, described what one of its personalities, Jeff Deminski, called a “truly disgusting situation,” one that, he asserted, “most will be afraid to talk about because they want to be politically correct” – i.e. uncritical of Orthodox Jews. Lakewood, New Jersey, as is well known, is home to a large and growing Orthodox population. A large mall is being considered by the local township’s planning board. Some Orthodox residents are in favor of the project, others opposed (so much for the image of a solid Orthodox bloc). Never mind that the law requires school districts to provide special education in appropriate settings to all its school children (even Orthodox Jewish ones), and that insufficient funding is available to the Lakewood district to maintain its current educational needs; or that the actions of one of two individuals acting on their own who aggressively offered to buy Lakewood-area homes were attributed to the entire Orthodox community – or that their methods were widely condemned by other Orthodox residents and leaders. All that matters is that the bad guys be the ones with the black hats. But what also matters, or should, is truth. It turns out that the blog had it wrong (and has since removed the post and issued a correction). The signatories to that petition have reasons to oppose the mall project. Aside from traffic issues and such, there is the fact that among the values held dear by the Orthodox community is a rejection of materialism – the sort of excess on which shopping malls are arguably predicated. Smaller commercial projects, aimed at providing material necessities rather than enticing people to buy stuff they don’t really need abound in the community. And their proprietors include both Jews and non-Jews. What’s more, the sort of businesses that inhabit malls nationwide include some, owned by Jews or by non-Jews, whose advertising and storefront displays are far from consonant with the Orthodox stress on modesty. But whatever side of the “mall in Lakewood” issue anyone may be on, there is – or should be – only one side worthy of backing on the issue of news organizations’ responsibility to do due research on stories they provide the public – particularly when an inaccurate story is likely to engender animus toward an identifiable racial, ethnic or religious group.